This is a rectangular Canadian Pacific porcelain sign. This particular Canadian Pacific sign features a red and white checked flag against a black background. 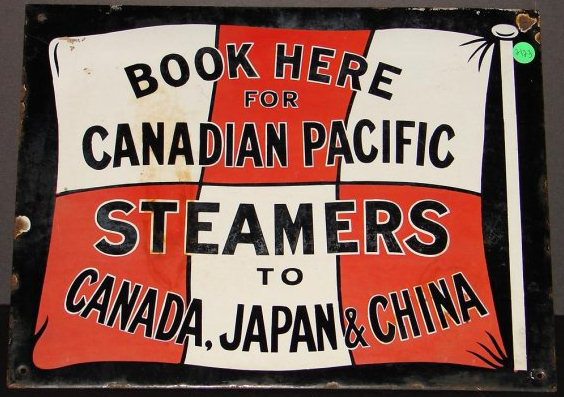 It reads, “Book Here for Canadian Pacific Steamers to Canada, Japan, & China”.